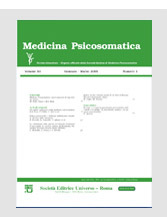 The Journal is aimed at spreading the present knowledge of Clinics and Therapy through publications, in Italian or English language, of the scientific articles that come from all the branches, disciplines and matters of non-alternative Medicine and Surgery. Acts; Advices; Bullettins; Case Reports; Editorials; Epidemiological-Clinical-Therapeutical Trials; Evidence Based Medicine (ECM); Guide Lines; Letters to the Editor; Opinions and Hypotheses; Original Articles; Overviews; Proceedings; Protocols; Reviews; Statutes; Systematic Revisions and Meta-Analyses; Technical Charts (see ahead). The Journal is able to publish Supplements, additional to the ordinary issues, that are dedicated to particular topics of clinical-therapeutical interest. Finally, the Journal is able to publish Advertisements concerning pharmaceutical products as well as medical and surgical equipments.